600,000 tech vacancies, but GCSE entries in IT and computing down 11% in last year – is the #EBacc costing the UK economy £63bn a year? Latest government figures show that there are at least half-a-million young people aged 16-24 who are unemployed, and some estimates put the figure significantly higher. At the same time, businesses are clearer than ever about the scale of skills shortages now and the impact of the Fourth Industrial Revolution and Brexit in causing them to grow further. 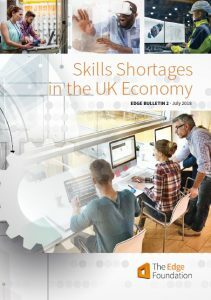 New research highlighted in the report from City and Guilds, suggests that nine out of ten UK employers struggle to recruit and two thirds predict that skills shortages will stay the same or get worse in the next three to five years. This is reinforced by growing proportions of manufacturing and services firms reporting recruitment difficulties in the British Chambers of Commerce Quarterly Economic Survey. techUK also highlight that there are an estimated 600,000 tech vacancies in the UK, a figure predicted to reach 1 million by 2020. 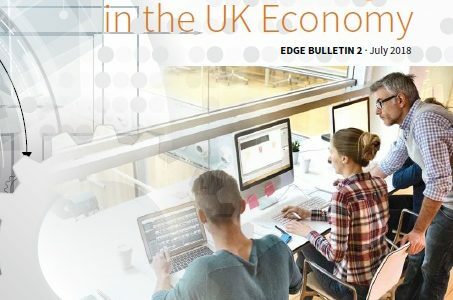 Fifty-two percent of digital businesses report that vacancies are hard to fill and this is costing the UK economy an estimated £63 billion per year in lost additional GDP..